Somehow Hulu got a lot simpler even as it added a major new video source. 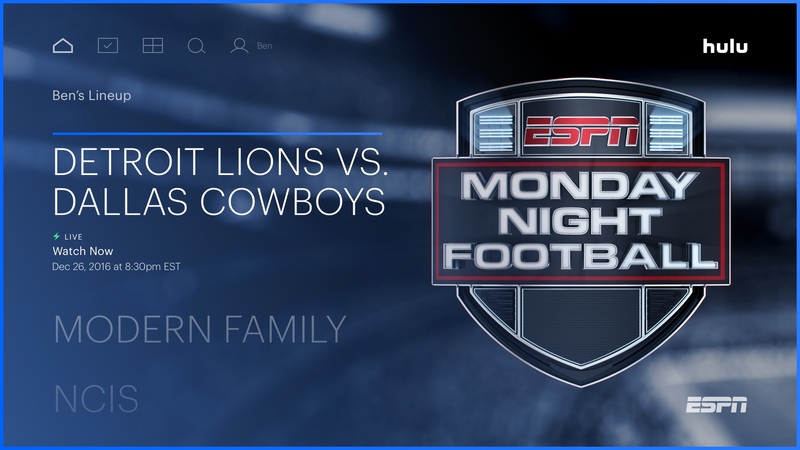 Last May, Hulu announced plans to start streaming live TV, much like Dish's Sling TV and Sony's PlayStation Vue services -- but the company hasn't offered up many details on how this would all tie into the existing Hulu on-demand service. That's changing today, as Hulu is now showing off an entirely redesigned user experience that will debut alongside its live TV service later this year. Surprisingly enough, even though one service is now managing two different video functions, everything looks a lot more streamlined compared to the current Hulu experience. 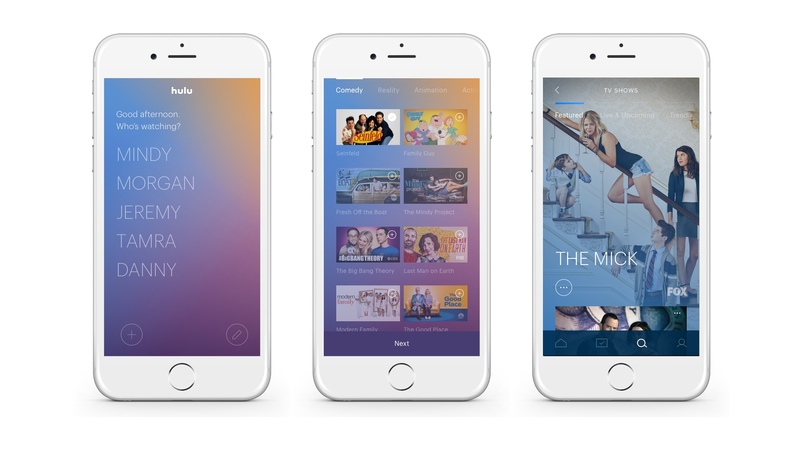 Hulu's senior vice president of experience, Ben Smith, told Engadget that the goal with the redesign was to focus on getting viewers the specific show they were looking for, regardless of whether it's on live TV or in Hulu's on-demand library. The start of the new Hulu experience consists of an onboarding process that asks you what types of shows you're interested in, serving up various categories like medical dramas, edgy sitcoms, superheroes and so on. From there, you can pick specific shows and networks you're interested in. It's unclear if existing users will get this new onboarding process, but the ultimate goal is to make sure the service isn't guessing about what you might want to watch. In this case, you're telling it explicitly. 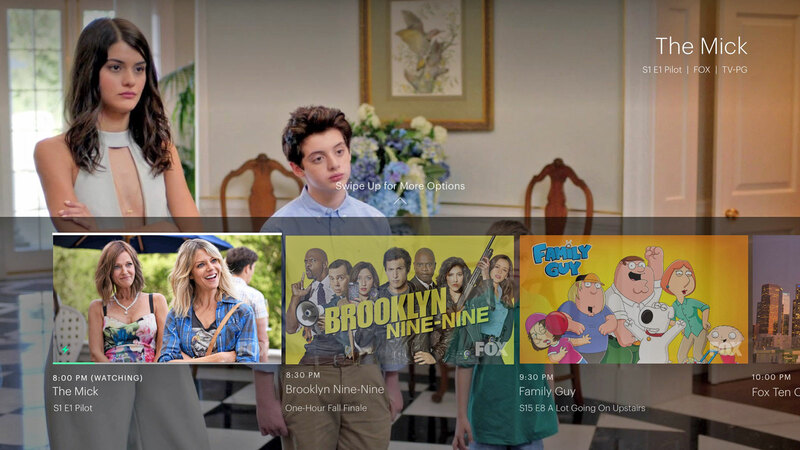 Once you're set up, you'll be dropped into the dramatically streamlined Hulu interface. It's pretty jarring compared to the rather complicated interface we're used to, but fortunately the new design is pretty self-explanatory. The first thing you'll see is what Hulu calls the "lineup," an area that collects live content you might want to watch alongside on-demand things you've been watching and recommendations for things that are similar to what you've told the service you like. From there, scrolling to the right will show you the standard Hulu categories like TV, movies, Hulu originals, networks, et cetera. There's also a tab showing you what'll expire from the service so you can watch it before it goes away. These are all features you'll find in Hulu currently, but the interface is far less cluttered than it used to be despite it managing both on-demand and live shows. When you're watching live TV, you have the option to jump back to the start of a program if you're coming in late. (But not for every show because the networks still like to make things needlessly complicated when it comes to replay rights.) You can also pull up a program guide showing you everything that's live at a given moment as well as what's on the schedule for the network you're currently watching. A TV UI makes a lot more sense to see than describe, but my initial impression of the new Hulu UI is that they've figured out how to add live TV to the service without making things more confusing or complicated for the user, and that's a big win. It feels more like an evolved and simplified version of Hulu than something resembling the more complex cable box UIs that we all fight with. It's program-centric, with Smith saying that Hulu wanted to make it easy for you to both find things you want to watch now and save things you want to watch later. It's an obvious goal, but it's also easier said than done. Another big part of the new service is making sure Hulu users don't miss programming they care about. To that end, the company is adding notifications to its mobile app. Fortunately, Smith says they're "starting slowly with just two notification scenarios focused on live sports." In addition to telling Hulu what shows you like, you can tell it what specific sports teams you may care about. You'll then get notifications when a game starts, and you can either start watching immediately or save the game to your cloud DVR to watch later. And if you tell Hulu you're a fan of specific sports, it'll alert you when something noteworthy is happening regardless of team -- say, a potential no-hitter or a close basketball game going into overtime. Smith acknowledges that Hulu is going to have a lot of work to do to get its live TV implementation right, but he thinks they're on the right track. "We have millions of subscribers and eight years of experience in on-demand content, but we have zero years of experience and zero million live TV subscribers," he says. "But TV is now a landscape littered with broken relationships. People don't love how they get TV. We needed to build an experience that people will want to use right now and that will last for the next three to five years." We're still a ways out from this new experience launching, but Smith seemed confident that the new Hulu will launch this spring, with a price of under $40 (the existing on-demand plans will remain as well). And there's a good lineup of channels on board, including all Turner networks, all Disney networks (including ABC and ESPN), Fox, the recently-announced CBS and more. NBC isn't on board yet, but Smith says Hulu's having "good conversations" and that NBC "should be on board by launch." If Hulu can deliver all that, plus its existing on-demand experience for under $40, the company could become the best option out there for cord-cutters.